The Trump administration cannot withhold millions of dollars in public safety grants from so-called "sanctuary" states, a federal judge in New York ruled Friday. The grant conditions sought to force local recipients to share information with federal immigration authorities. 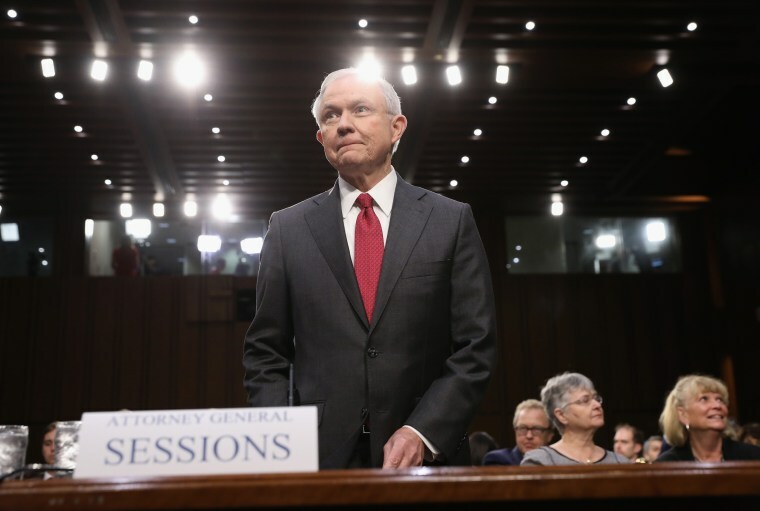 "So-called 'sanctuary' policies make all of us less safe because they intentionally undermine our laws and protect illegal aliens who have committed crimes,” then-U.S. Attorney General Jeff Sessions said when he announced the conditions in June. The suit, which was also filed on behalf of New Jersey, Rhode Island, Connecticut, Virginia, Massachusetts, Virginia and Washington, argued the feds overstepped, because the agency didn't have the legal authority to impose the changes. The judge ordered DOJ to release more "than $29 million in grant funds that plaintiffs would otherwise use for law enforcement and public safety purposes." The ruling is the fourth successful legal challenge to the DOJ conditions to date. The grant funds — which are used for a variety of public safety programs — are named for Edward Byrne, an NYPD officer who was shot to death in 1988 while guarding the home of a Guyanese immigrant who'd been targeted by street gangs. Underwood called the ruling "a major win for New Yorkers' public safety." A spokesman for the Department of Justice declined comment.